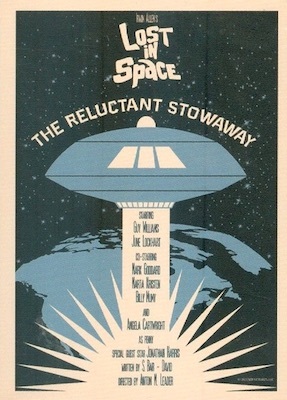 The sci-fi classic created by Irwin Allen returns with 2018 Rittenhouse Lost in Space Archives Series 1. Limited to just 200 total sets, each factory box contains three autographs and a sketch card. This first Lost in Space set is part one of the premium release, with Series 2 planned for later in 2018. Boxes are priced at $199.99. Capturing all 85 episodes, the 2018 Rittenhouse Lost in Space Archives Series 1 checklist offers the first 43 Episode cards, while the remaining 42 base cards come in Series 2. The all-new artwork that celebrates each episode is from artist Juan Ortiz. Every box also offers Metal character cards. While a box only has four of the metal cards, those that purchase two sets are guaranteed the full eight-card set. Satisfying hit collectors, 2018 Rittenhouse Lost in Space Archives Series 1 delivers three autographs per factory set. 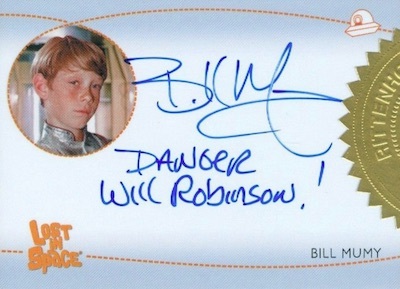 That includes Inscription Autograph cards for both Bill Mumy (Will Robinson) and Marta Kristen (Judy Robinson). Added excitement comes from the different inscription choices for each signer. In addition, each box has one Character Art Autograph card for either Angela Cartwright (Penny Robinson) or June Lockhart (Dr. Maureen Robinson). And if you buy two sets, you get both. There is also an exclusive Triple Autograph provided with the purchase of two sets. 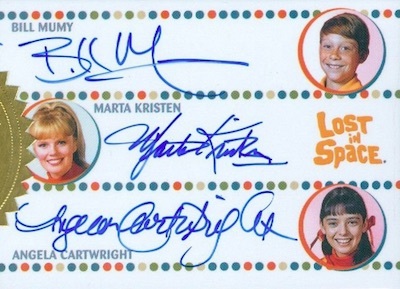 The triple signature card features Bill Mumy, Marta Kristen and Angela Cartwright. 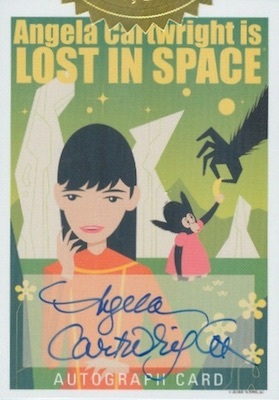 LOST IN SPACE MOVIE Inkworks 1998 AUTOGRAPH REDEMPTION CARD UNMARKED! 5 cards. Shop autographs on eBay. 8 cards. 4 per box set. 12 artists. 1 sketch card per set. Am I able to buy the archive set of the 2018 Rittenhouse-LOST IN SPACE cards? I have not seen anything about an Archives edition. 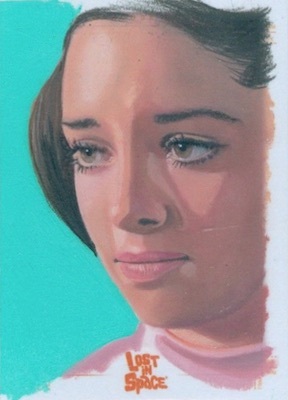 do you have for sale, Dee Hartford-Verda card from the LOST IN SPACE Archive Set I.
do you have or know of how I might get this unique card? Hi Edward, we don’t sell the cards. I’d check eBay but individual sketch cards are not easy to track down.